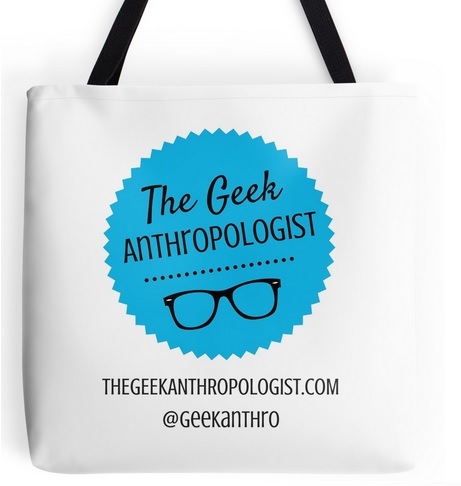 A little over a year ago (on September 12th 2012, to be precise), I embarked on the blogging journey and created The Geek Anthropologist blog. Since then, it has grown into a small community of authors, and has been the source of great collaborations and projects, such as the Geek Girl Survey or the upcoming panel at the annual AAA meeting. It was even featured on Freshly Pressed, WordPress’s daily editor’s picks. 5. Blogging takes time. Lots of time. Especially if you want to create a community blog. As I am going over the posts published during this last year, I am updating the blog, making notes for the future and remembering a few loose ends that need to be addressed. I take this opportunity to thank the loyal, long-time readers of the blog and welcome any new readers. What makes blogging so great is the opportunity it provides to connect with people who share our interests, provide valuable input and encourage us. Thanks to all of you! Oh gosh. The 1000 word or less thing always gets me. So hard. However, one blogger did say to me as a rebuttal once: “We are writers here on WordPress, not ‘bloggers’, so that rule does not apply.” Lol. That’s another way of looking at it! Of course it’s hard to find a balance between writing something short enough so that people will actually read it, yet interesting, coherent and relevant. As with anything else, blogging is a learning process. Your lessons learned are valid, indeed–I’ve already had to face some of them in the 2 months I’ve been blogging. But your anniversary inspires me–thanks! Indeed: I read a lot of advice about blogging before I started, but it’s always a learning process. Keep up the good work!